A short biography of modernist photographer and anarchist Margaret Michaelis 1902-1985. Margaret Michaelis’s prowess as a photographer has been hidden away until recently. Recent exhibitions in Canberra, Australia in 1988 and 2005 and in Valencia, Spain in 2005 have begun to dispel this cloud of obscurity. Her best photographs from her stay in Spain between 1932 and 1937 are now beginning to be admired and recognized and rightly seen as moving and striking depictions of the period. Margarethe Gross was born into a Jewish family in Dzieditz in what was then Austria, on 6th April 1902. Dziedzitz is now Dziedzice in southern Poland near Krakow. Her liberal upbringing led her to be given every educational opportunity by her parents. She studied photography at the Institute of Graphic Arts and Research in Vienna. During the 1920s she worked in leading Viennese studies, including the prestigious Studio d’Ora, as copyist, retoucher and photographer for adverts, fashion and industry. These years of apprenticeship made her conscious of the use of modern styles in photography and sparked a lifelong interest in photographic portraiture. Women of her generation were beginning to see photography as a possible career and Margaret appears to have seen herself as a neue frau, a modern woman challenging established convention and morals. In 1929 she moved to Berlin and a few months later she met Rudolf Michaelis. Born at Leipzig in 1907 he became an anarchist in his teenage years and was an important member of the anarcho-syndicalist union, the FAUD (Freie Arbeiter Union Deutschlands – Union of Free Workers of Germany). He wrote under the name of Michel and worked in the State Museum of Berlin restoring antiquities from the Near East. He also took part in archaeological expeditions, including one to Uruk in Iraq for six months in 1932–1933. Rudolf was the main animator of the GFB (Corporation of Libertarian Booklovers) a book club set up by the FAUD. He had been one of the German anarchists who met with the outstanding Spanish anarchists Francisco Ascaso and Buenaventura Durruti, when they stayed in Berlin in 1928. Margaret and Rudolf became close and were to marry in 1933. The poor economic situation meant that she could secure only short-term jobs in various photographic studios as an assistant. She set up her own studio Foto-gross in 1931. In 1932 she visited Barcelona. She lodged in a hotel in the poorest and shabbiest part of town, the Barrio Chino. She began to photograph the local people with a little Leica camera, taking pictures of gypsies, card players, children, street musicians and sailors. However, there was mistrust in that neighbourhood towards outsiders, and she was mistaken for a police informer and forced to take shelter in her hotel with her German compatriots. She wrote movingly on her experience in the Barrio Chino and how statistics pointed to between 90% and 95% of neighbourhood children being affected by congenital syphilis. She had seen a street accordionist start playing outside her hotel, who became surrounded by local children, with noses eaten away, bald, blind and on crutches—“A sad and terrible image … the Barrio Chino is the shame of all Catalonia. The children are a silent denunciation”. Her images from this visit are both a record and a savage social critique. The rise to power of the Nazis in Germany spelt danger to both Jews and anarchists. Rudolf had secretly attended the congress of the International Workers Association (IWA), the anarcho-syndicalist international, in Amsterdam. His anarchist and antifascist activities and his refusal to recognize the new regime meant that he was soon to be sacked from the museum. He was imprisoned for five weeks and only freed with the intervention of the museum director. For her part Margaret was arrested on a flimsy charge of book theft. They both decided to leave Germany in November 1933, and chose Barcelona as their destination. In Barcelona they met up with other German anarchists and formed the DAS (German Anarcho-syndicalists) group. But life was hard for them in Spain. They spoke neither Spanish nor Catalan and lived in poverty. They were suspect in the eyes of the authorities as either anarchists or as German spies! This difficult situation led to the break-up of the relationship between Margaret and Rudolf in 1934, although they remained in contact throughout their lives. In the same year Margaret opened a studio, Foto-Studio, which later became Foto-Elis. She made contact with the avant-garde architects of the GATPAC (Group of Catalan Architects and Technicians for the Progress of Contemporary Architecture), led by Jose Luis Sert and worked with them between 1934 and 1936. These architects wanted to revitalize and rehabilitate the Barrio Chino, a project that was never realized. She took many photographs of Barcelona on their behalf and contributed to their exhibition Nova Barcelona (New Barcelona) in 1935. Her photos appeared in the modernist magazines AC (Documents of Contemporary Activity) and D’aci e d’alla. She acquired a knack of getting people on the street to be relaxed at having their picture taken. She used techniques of taking pictures of streets and their inhabitants from rooftops and attic windows and buildings from low on the ground. Her images of dilapidated and grimy dwellings, poverty-stricken interiors, rubbish-strewn courtyards and sick and diseased children were accompanied by graphics, statistics and diagrams which further dramatized them. Her photomontages were arranged in a similar fashion, combining images with texts and statistics. She accompanied Sert and the painter Joan Miro to Andalusia and her photos of this tour were published in AC. She made photos of Miro’s paintings. She made architectural studies for individual architects of the new modern buildings being built in Barcelona. The coup d’etat organised by right-wing forces in the armed forces, the Church and in the far right and royalist parties and its initial defeat in parts of Spain unleashed a revolution in 1936. Rudolf for his part became delegate of the German anarchist unit, the Erich Muehsam Group, named after the famous German anarchist murdered by the Nazis in 1933. This became part of the anarchist militia column, the Ascaso Column, where Spaniards fought alongside Germans. The DAS became part of the local federation of anarchist groups in Barcelona and Rudolf took part in the occupation of the German Club in that city, which had been a notorious nest of Nazis. For her part Margaret’s work became more and more closely associated with the burgeoning revolution. She accompanied the American anarchist Emma Goldman on a tour of Aragon along with the German anarchists Hans Erich Kaminsky and Anita Garfinkle and Arthur Lehning, the secretary of the IWA, and they visited the collectives being set up in the countryside. She realized a heroic portrait of Emma Goldman during this tour. At the end of the year she photographed the funeral of Durruti. In 1937 she worked for the Propaganda Commission of the Catalan Government, recording scenes from everyday life in Barcelona, with reportages on public health and support to children. Her quick and propagandist documentary images were used in magazines and papers. She undertook a series of photo shoots in the Barrio Chino, this time being able to snap away without being driven off. Her rapid image taking, as mentioned above, is apparent in these photos, including one of a pickpocket dipping into a handbag! Some of these images were later seized and used by the Francoists in a publication Homage from a Freed Catalonia to its Caudillo, without, obviously, Margaret’s permission. With the worsening situation in Spain, Rudolf was arrested several times by the Stalinists in 1937. The couple was divorced that year. Whilst Rudolf stayed on to fight, Margaret left for France and then visited her parents in Poland in 1938. She photographed some graphic views of the Jewish ghetto in Krakow. She then obtained a visa from Britain and then moved on to Australia, having in the meantime secured the release of her equipment and photographs which eventually reached her in Australia. Rudolf had crossed over to France with the defeat in 1939. He returned secretly to Spain in 1939, was arrested and imprisoned until 1944. In Australia, German incomers were viewed with suspicion and kept under surveillance. Margaret arrived in Sydney a few days after the outbreak of the Second World War. She worked first as a housekeeper and then in 1940 opened Photo-Studio. 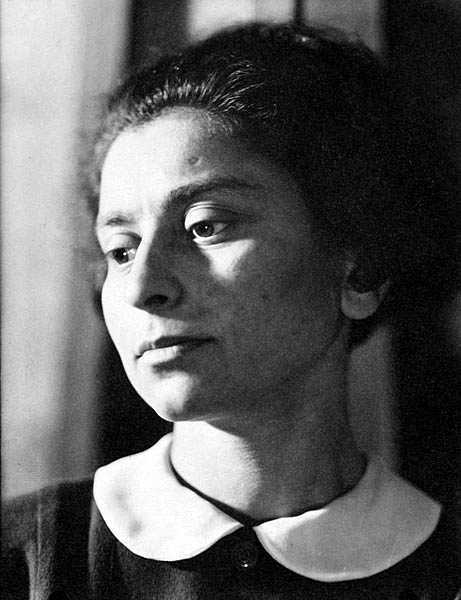 Her work from this period was strictly bread and butter, with the usual studio portraits, although they were mostly of artists, dancers and writers, like her, European and Jewish refugees. She undertook very little open air photography. In these war years she experienced a “very, very sharp, loneliness” in her own words. Margaret was forced to close her studio in 1952 because of her failing sight. She married Albert Sachs in 1960 and worked with him in his window framing business in Melbourne. In the years after the war she began the agonizing process that many others experienced of hunting for her family and friends back in her home town. All had perished in the Holocaust. One rare open air shot, a kind of self-portrait, from this period, Paramatta River, taken on 14th June 1948, shows her in the middle distance facing away from the camera looking out over a landscape of industrial desolation. She renewed contact with Rudolf in East Germany in the post-war years. He, like a number of other surviving German anarchists, had been under the illusion that he could join the Communist Party and spread anarchist ideas from within. Instead he became its captive and was forced to write denunciations of anarchism. She visited him in East Berlin in 1967 and remained in correspondence with him until 1975 (he died in 1990). Grete (as she was known to Rudolf and other close friends) kept the letters, dried flowers, maps and photographs she had received from Rudolf in a large envelope on which she had written Michel in large black letters. She kept these until the end of her life. Margaret kept her collection of photographs from the Spanish period hidden throughout her sojourn in Australia up until her death on 16th October 1985 in Melbourne. With her death her photographic collection and archives were given to the National Gallery of Australia. That is a fantastic picture and I've never seen it before.